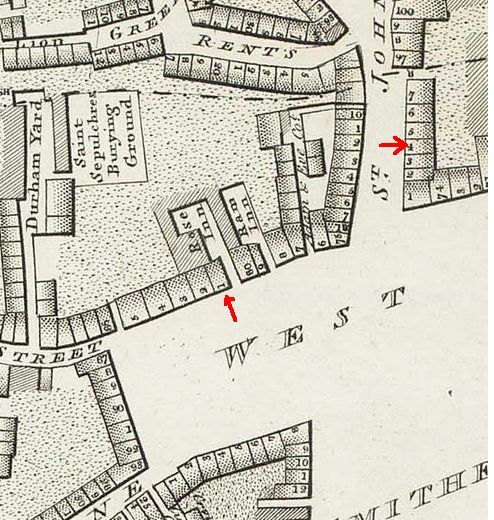 It looks as if the property of John Newton, cork cutter, was wrongly numbered as 51 by Tallis on his street plan, as it makes no sense that the next-door neighbour is no. 49. Newton’s house should be no. 50 as the numbering was still consecutive in those days. On the other side of the alley were three houses combined, incorrectly numbered on the street plan as nos. 52-54, but correctly labelled 51-53 in the Tallis index, and listed for Field, the straw hat maker. 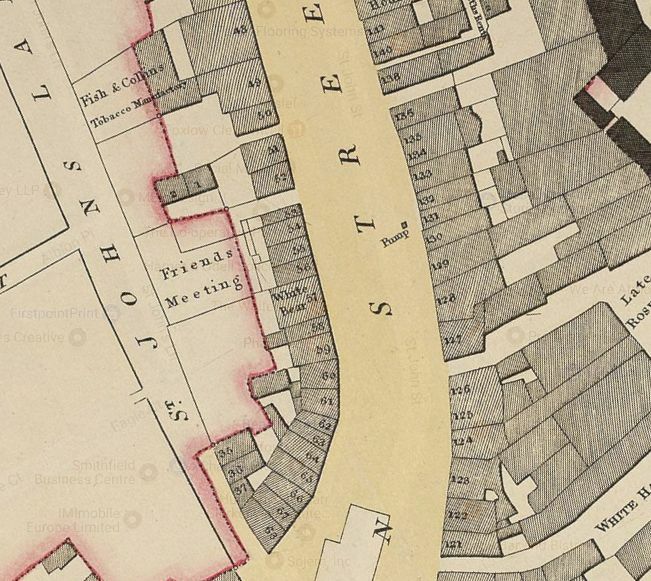 An 1821 plan of the parish of St. Sepulchre also shows 50 between the alley and no. 49, so that was the correct number for Newton’s cork cutting business. To make life complicated, the house numbering changed dramatically somewhere between 1861 and 1871 with the odd numbers on one side of the street and the even numbers on the other and what was number 50 became 73. The house is still there, but the alley has been built in and, together with number 69 (which used to be number 51) looks rather squashed between the larger buildings on either side. According to volume 46 of the Survey of London the houses were built in 1817-18 to replace the sixteenth-century ones that are thought to have been part of the mansion of Sir Thomas Forster in St John’s Lane. Holden’s 1811 London and Country Directory lists John Newton jun, cork cutter, at 54 St. John Street and there is also an 1810 insurance record for John Newton at number 54. The fact that the directory lists him as junior, certainly suggests that there should also be a John senior and we do find another John at number 56 in 1811 as a brass founder. However, the cork business had existed for longer than that, as in 1791, the newspapers reported on a fire that started at Mr. Labrow’s chemist shop and spread to several businesses, among them that of Mr. Blower, a tallow chandler and Mr. Newton, cork cutter. This must, however, been on the other side of the street as Labrow had his shop at no. 128 and Blower at no. 135. 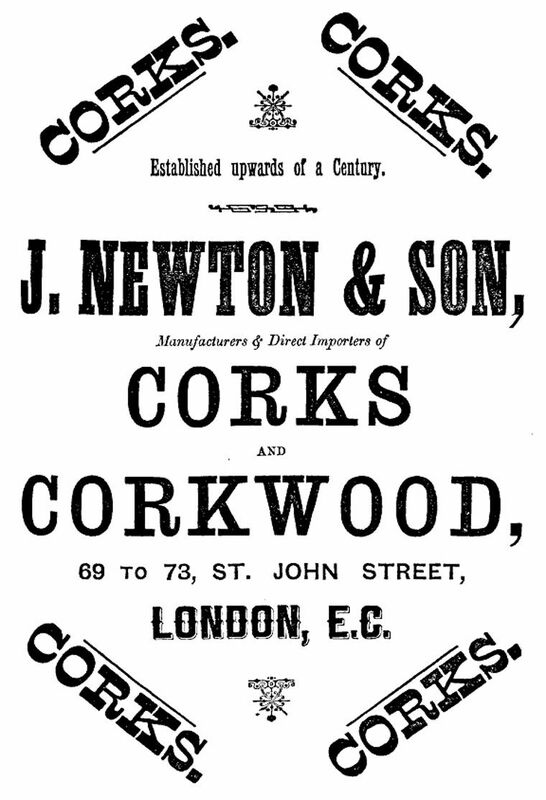 Unfortunately, two directories from around the time do not list cork cutter Newton. We can follow John Newton’s business from 1810 onwards through the insurance records of the Sun Fire Office. In that year he insured his “household goods, wearing apparel, printed books and plate in his dwelling house” at 54 St. John Street for £150 on the proviso that no cork was burnt on the premises. His stock and utensils at that same address were insured for £50 and his stock and utensils in his warehouse in the Skin Market, Islington, for £300. 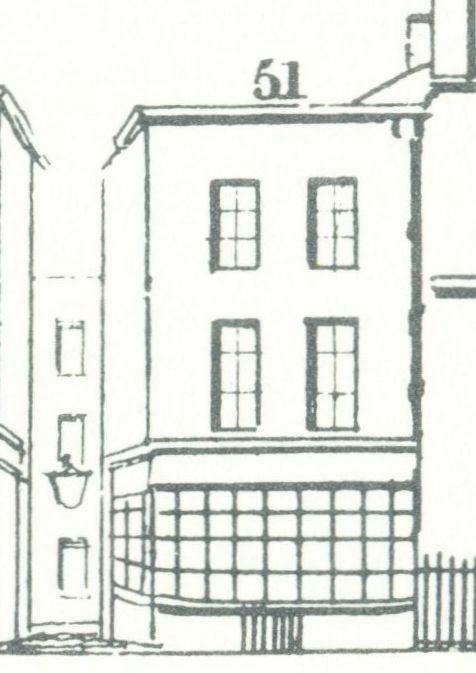 In 1813 he insured 55 St. John Street: his household goods for £200, his stock and utensils for £100 and his stock and utensils in the Skin Market again for £300. The total of his insured possessions had gone up from £500 to £600, and went up again in 1814 to £700. 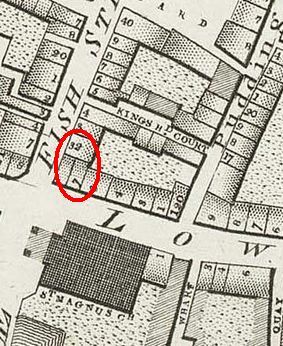 The Sheep Skin Market had been situated near Northampton Square, where now the Brunswick Estate can be found, but the area was redeveloped in the years following 1815, so it is no surprise that the next insurance record finds Newton with a warehouse in East Street near Globe Road, Mile End (also designated as East Street, Globe Fields). 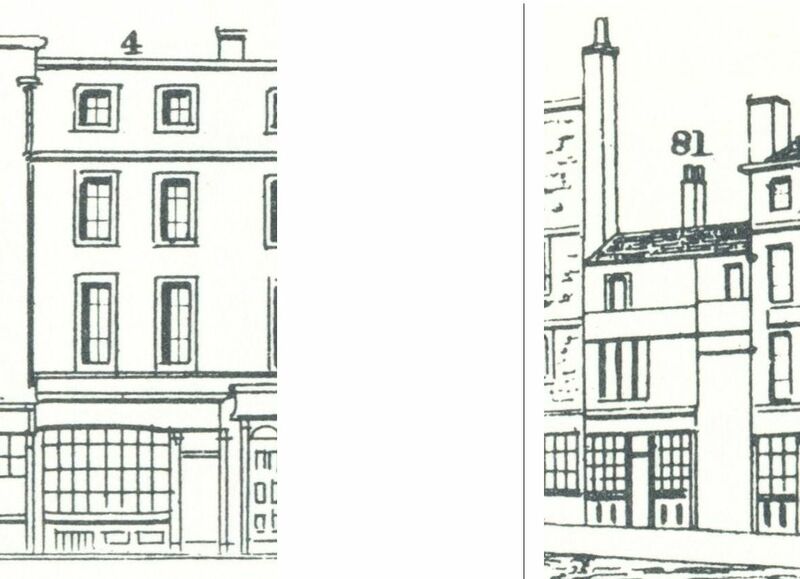 From 1819, we find Newton at 50 St. John Street, still with the additional warehouse in East Street, and the total value insured has now gone up to £1000. He was obviously doing alright for himself and in 1820 the Sun Fire Office record shows him adding china and glass, worth £50, to his insurance policy and in 1823 even musical instruments for £25 and pictures and prints for another £25. Newton must have been the first occupant of the new building at number 50, as we saw in the Survey that it had been built in 1817-1818. From then on, we always find our cork cutter at 50 St. John Street, that is, until 1848 (or perhaps a few years earlier) when, according to the Post Office Directory number 51 was added to the Newton business. In 1841, one of the errand boys of Newton stole some 20l in copper coins from his master. James, the son of John (although the Old Bailey report mistakenly calls the father James) Newton, gave evidence and described that “there is an area-gate in the front of the premises, the key of which hung on a hook over the desk in the front shop”. Morley, the errand boy, had tried to get Fisher, an apprentice, to help him, but Fisher was reluctant to participate in the robbery, although he did help Morley with opening the padlock on the gate. Morley left some of the stolen money for Fisher, but he would not touch it. Everything came out and Morley was sentenced to transportation for fifteen years. The whole transcript of the Old Bailey case can be found here. James and his growing family did not remain at number 51, but could in the 1861 census be found at Paradise Cottages, Green Lane, Islington. His son James Field Newton, 17 years old, was also listed as a cork manufacturer. The census listed a packer, a housekeeper, and a shopman at no. 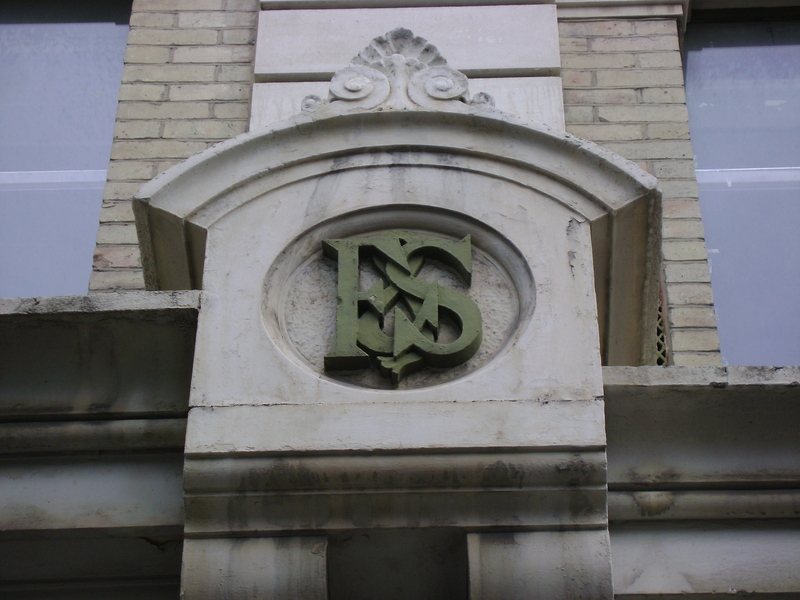 50 St. John Street; no one was living at no. 51. And in the 1871 and 1881 censuses, that is, after the numbering had changed, no one was living at either no. 69, 71 or 73. James died in 1867 and James Field in 1873. James Field had left his father’s estate unadministered and his brother Frederick George arranged probate for both estates in 1873 and 1874. (3) The business was continued in St. John Street by widow Eliza and in 1871 the census lists her as employing 18 men and 5 boys. In 1881, Frederick, his sister Elizabeth, and his younger brother Sidney, all unmarried, were living together at 27, Stapleton Hall Road. 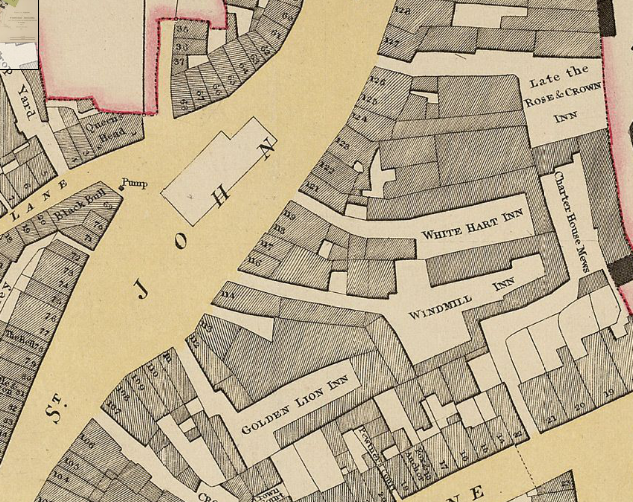 In March 1882, there was a fire in the cork warehouse which, according to the newspaper report, raged for several hours and only left the walls standing. (3) According to the London Historic Asset Assessment the property was rebuilt after the fire with the extension over the alley, but judging by the numbering in the 1871 census, the building-over of the alley probably took place quite a number of years earlier. Why else would numbers 50 and 51 suddenly get 3 house numbers: 69, 71 and 73? The cork business at 69-73 St. John Street continued at least till 1912 when the telephone directory lists them there, but I found no evidence for them after that date. They are certainly not listed in Hughes’ Business Directory of 1821. (2) England & Wales, National Probate Calendar (Index of Wills and Administrations), 1873. The effects of James Field were valued at were valued at under £100. England & Wales, National Probate Calendar (Index of Wills and Administrations), 1868 and 1874. The effects of James were valued at under £3,000. (3) Lloyd’s Weekly Newspaper, 12 March 1882. – Number 34, G. Farmiloe & Sons, back warehouses of two and three floors, 160 feet by 50 feet, all communicating, and contents nearly destroyed. The second and third floors of the front warehouse severely damaged and most of the roof gone. Lower part severely damaged by water. – Number 36-38, Mr. Stenlake, tailor and Mr. T. Davis, printer. Back fronts seriously damaged by fire and contents by water. – No number given, Mr. J. Sargeant, envelope orderer, and Mr. J. Wilkinson, lithographer, back fronts severely scorched. – Numbers 40-42, unoccupied, similar damage. – Number 5, Charterhouse Mews, Sweeting and Co’s stables, damaged by breakage. So who were these Farmiloes that spread from just a small glazier business to such large premises on an extensive plot of land? George Farmiloe, the son of watchmaker William Farmiloe of Great Sutton Street, Clerkenwell, is taken on as an apprentice by John Roberts of the Cordwainers’ Company on the 6th of January 1813. It is not exactly clear when, but at some stage in the apprenticeship George is turned over to joiner Edward Chuck until he receives his freedom of the Cordwainers in February 1822. George’s address is then given as 3 Spital Square and his profession as plumber. We next hear of George in 1826 when he is described as a glass cutter of St. John’s Lane, West Smithfield, in a London Gazette notice regarding the assignment of the goods of a bankrupt colleague’s plumbing and glazier’s business to Farmiloe and one Benjamin Dover in order to dispose of them to pay off the bankrupt firm’s debts. (2) In 1829, George takes out an insurance with the Sun Fire Office for 8 St. John’s Lane as “window glass cutter, lead merchant, and dealer in oil and turpentine”. The 1841 census describes George as lead merchant with a wife Elizabeth Meakin (the daughter of another glass and lead merchant who will be discussed some other time) and seven sons Thomas (1824), George (1826), William (1827), Lewis (1833), Henry (1835), James (1838) and John (1839). Also living on the premises are two female servants and a warehouseman with his wife and son. Ten years later, as so many Victorian shopkeepers, George no longer lives where he works, but can be found at 16 Park Road, Islington. The same seven sons still live at home, but although George is classed as lead merchant, the three eldest sons, all unmarried, are given as lead and glass merchants. The younger ones still go to school. A notice in The London Gazette of 11 December 1860 tells us that Henry leaves the partnership he had with his brothers George junior and James at 118 St. John Street as lead and glass merchants. 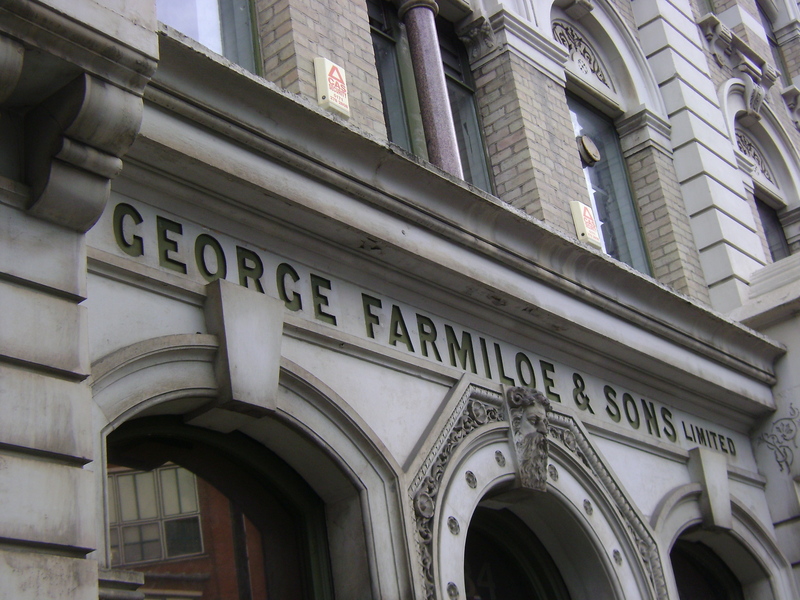 Although they had been trading as George Farmiloe and Son, George senior had no role in this particular partnership as he is not mentioned, although that does not mean he has retired as the 1861 census still lists him as lead merchant. William, Henry and John still live at home and are also listed as lead merchants. Lewis also lives in Park Road but he is described as fund holder and annuitant. The next bit of information comes from a notice in The London Gazette of 5 January 1869 which tells us that the partnership between George senior, George junior and James is dissolved. In 1872, son Henry, still a bachelor, dies at Ramsgate and probate is granted to his father. (3) In 1877, Lewis, who had been without a job description in the 1861 and 1871 censuses, applies for the freedom of the Glaziers’ Company by redemption and is then still described as “of no business or profession”, but in the 1881 census he is described as lead merchant while his father is then given as “independent”. Lewis and Thomas, both bachelors, still live with their father. 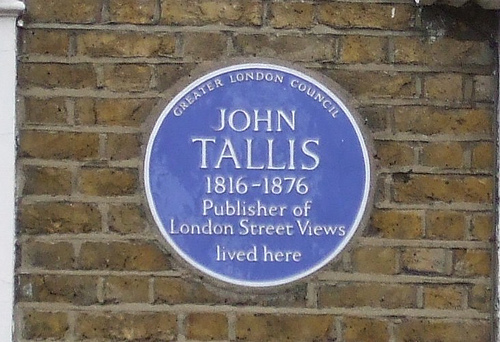 Their address is, however, now given as Tillerye House, 45 Parkhurst Road, Holloway. The partnerships between the various family members did not just occur between the ones living with their father as a notice in The London Gazette of 13 May 1884 testifies. 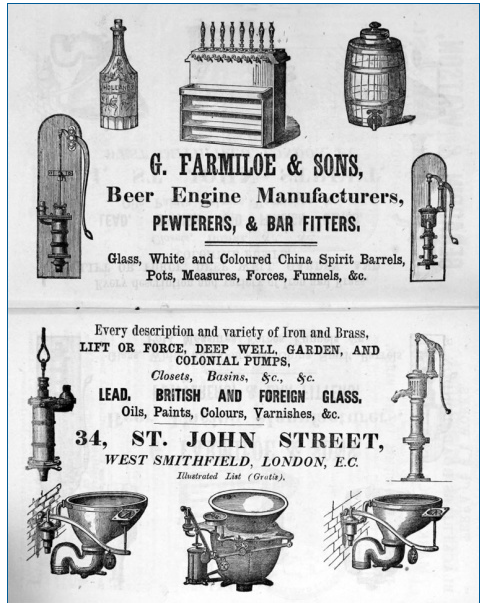 Thomas, John, William and George junior dissolve a partnership that they had as T. and W. Farmiloe, glass and lead merchants at Rochester-row, Westminster, and as George Farmiloe and Sons at 34 St. John Street, West Smithfield. 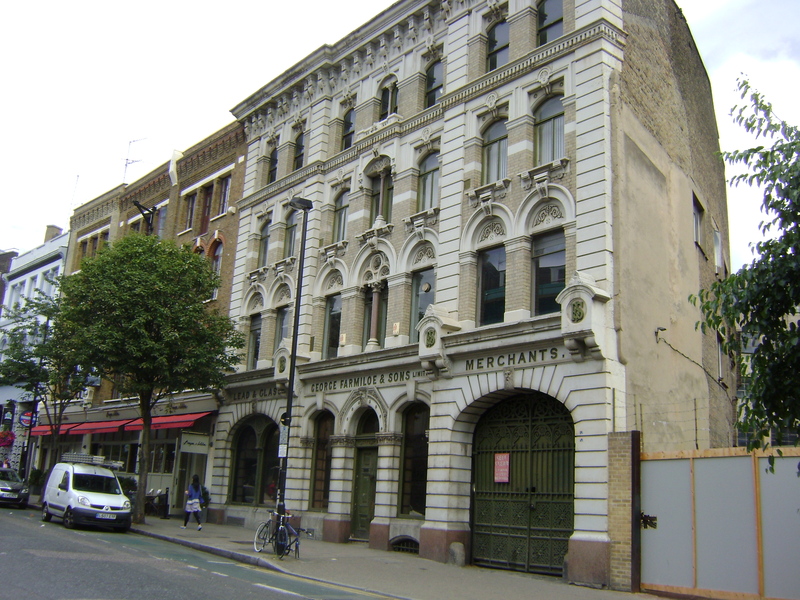 The business at Rochester Row was to be continued by Thomas, William and John as T. and W. Farmiloe (see photo of the building here), and 34 St. John Street by George junior under the old name of George Farmiloe and Sons. I do not think there was a family feud as Cathy Ross suggests (see here), but giving all sons a responsible job may have been a bit of a stretch for the firm and a number of them just branched out on their own while apparently keeping close links with one another judging by the available evidence of the probate records where the brothers acted as executors for the estates of brothers from ‘the other’ branch. Lewis dies 6 November 1890 at Tillerye house in Parkhurst Road, Holloway, and probate is granted to his brother William and one Charles Henry Nalder. George senior dies a few month later, on 21 January 1891, and probate is granted to son James as one of the executors. (4) Thomas dies 11 February 1897 and William 18 July 1897. (5) George junior dies 12 March 1906, John in 1917 and the last surviving brother, James, in 1921. (6) Judging by the value of their estates (see footnotes), the Farmiloes did quite well out of the constant need of the London populace for window glass and lead. We can add one bit of information to the history of the firm and that is of the ketch Frances that went missing in the North Sea. The Frances, a small ship based at Harwich, had been continuously chartered by the Farmiloes since 1893 to carry Belgian glass for them on her return journeys from Antwerp. The glass was delivered by the vessel at the Nine Elms wharf belonging to the Farmiloes. Since January 1896, the size of the glass was so large that the crates prevented the hatches to be closed, but the captain and part-owner, James Goddard, saw no problem and made at least eight voyages with open hatches. When difficulties about the insurance arose, Farmiloe took out an additional insurance with Lloyds with the clause “with leave for hatches not to be closed” and Goddard agreed to transporting the large glass in his vessel with the hatches open. On 4 December, Goddard left Flushing in a severe gale, so severe that that same night Brighton pier was swept away (see here), and nothing was heard of the ship or the three men on board (captain John Goddard, his son Maurice Goddard and Josiah Sherwood) ever again. Although Farmiloe was not responsible for the disaster, nor blamed by the Board of Trade investigators, he gave the widow of captain Goddard an allowance of £1 a week for five years. 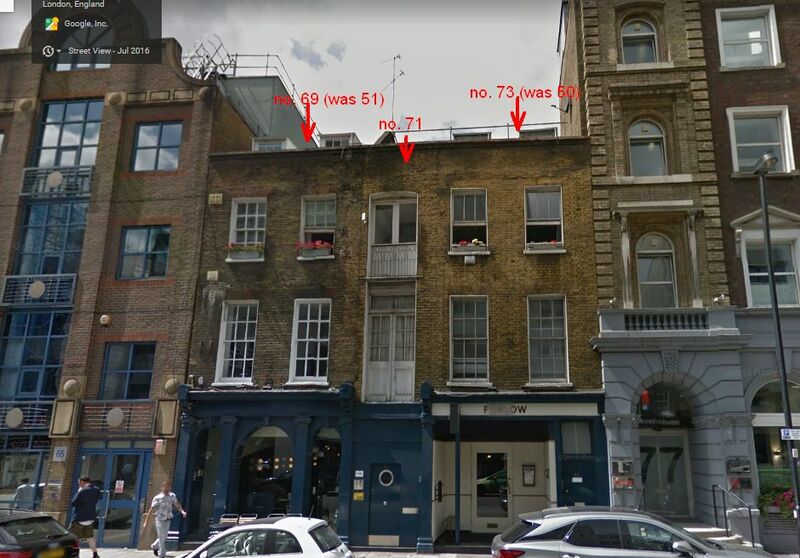 (7) Although a newspaper report of the investigation does not specify which Farmiloe was involved, the official report of the investigation does and names John Farmiloe, so I assume it was the Rochester Row branch that had ordered the glass. You can read the whole report of the investigation by the Board of Trade here and if you want to read more about the subsequent history of the firm and their branching out into the manufacture of paint, sealants and sanitary appliances, I suggest you read this. 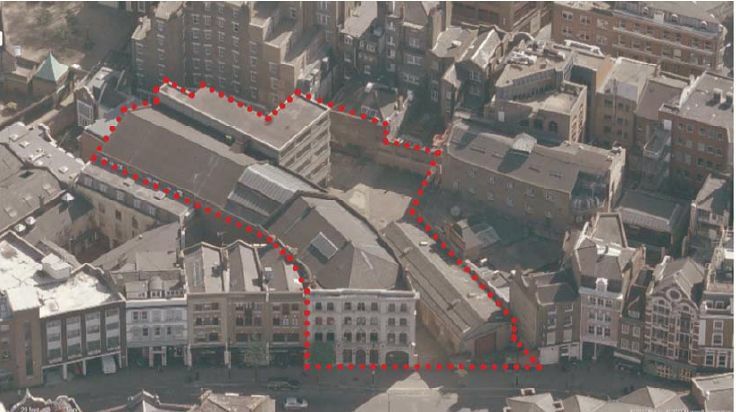 (1) See here for the listing on the Historic England website and here for the redevelopment plans on the Creative Clerkenwell website. (3) England & Wales, National Probate Calendar (Index of Wills and Administrations), 1872. The value of Henry’s estate is given as £100. (4) England & Wales, National Probate Calendar (Index of Wills and Administrations), 1891. The value of George’s estate is given as £6,141 and that of Lewis as £11,973. (5) England & Wales, National Probate Calendar (Index of Wills and Administrations), 1891. The value of Thomas’s estate is given as £133,714 and that of William’s as £141,706. (6) England & Wales, National Probate Calendar (Index of Wills and Administrations), 1906, 1917 and 1921. The value of George’s estate is given as £120,329; that of John’s estate as £84,649 and that of James’s as £27,602. (7) The Western Mail, 23 April 1897. 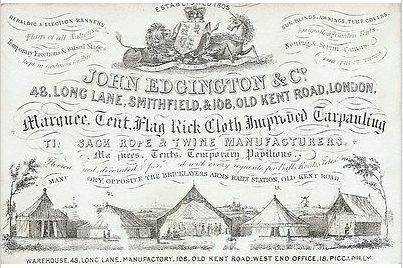 When writing the post on Benjamin Edginton of 2 Duke Street, I already mentioned that there were other Edgingtons in the tarpaulin business which made it difficult to sort out who was referred to in some cases. And is was not just me as an historian who tried to disentangle the family strands after nearly two hundred years who had a problem; the prospective clients of the tarpaulin manufacturers were confused as well. A case in point was the Master of Trinity College, Cambridge, who wrote to the wrong address to order a marquee (see for Benjamin Edgington and the court case resulting from this confusion here). Fortunately, I had a comment on the Benjamin Edgington post from Charles E. Alexander who has spent a long time researching the Edgington family and he very kindly sent me a long document of information on the early history of the family and also on Thomas Edgington, so for this post I will – with his consent of course – gratefully quote extensively from his research (quotes from his text in red italics; black text, footnotes and illustrations are mine). The earliest person it has been possible to define is Richard Edgington living in Abingdon, the county town of Berkshire in those days with a business trading as a sack cloth weaver. His parentage has not been possible to establish, but we do know that he married Sarah Fletcher at Abingdon’s St. Helen’s Church on 18 March 1777 (Parish records). It is thought, but not confirmed, that Richard and Sarah moved to an address in Ock Street, one of the areas of the town heavily identified with weaving. Also in Ock Street was a Baptist Mission, which they subsequently joined and were ‘received’ (baptised) into this church on 5 March 1780. They remained active members until they left for London less than twenty years later. As was the case in those days, large families were the norm and Sarah gave birth to eight children – three boys and five girls – all births recorded at the Baptist Mission, the boys as follows: Richard 14.12.1780, Thomas 27.5.1786, Benjamin 4.9.1794. Back in 1761, the Abingdon Borough Council passed a by-law prohibiting the weaving / working of flax by candlelight. It is entirely likely that this law was perceived as a contributing factor in restricting Richard’s business, plus there were another 15 to 20 similar sack makers in the Ock Street area offering stiff competition. Whatever the reason, sometime between 1795 and the end of the century, Richard upped sticks and resettled his family and business in Bermondsey. It is entirely reasonable to assume that he thought that London offered better long-term prospects. The eldest boy, Richard, appears to have become involved with the Ock Street Baptist Church, serving on various committees and is thought to have remained in Abingdon – the family property there was possibly retained as there is some evidence that the family were property owners (Ock Street Studies Group). But his next brother, Thomas, served his time in his father’s business, and subsequently branched out on his own. Thomas started with premises in Bermondsey in early 1805, but after a short period was established at 244 Tooley Street. He was in competition with his father, but as was the case in later years, the family production / weaving facilities may have been shared. It was stated on the successor building in Old Kent Road that Thomas supplied flags and bunting to the ships which fought at the Battle of Trafalgar in 1805, but if this was so, it is most likely that he acted as the supplier or chandler and not the manufacturer (unless supplied by his father?). In the early years Thomas struggled to make a living, and in sheer desperation, added stationary, chandlery and rags to make ends meet. Life was hard. The last son, Benjamin, was eight years younger than Thomas, but also served his time with his father. In January 1821 Benjamin went into partnership with his brother Thomas to help consolidate his business. Benjamin, however, was a bit of a goer and the two brothers did not entirely see eye to eye. Their father, Richard, however, was now getting on, and in order to keep that business going, Benjamin decided, after less than two years with his brother, to leave and take over his father’s business. 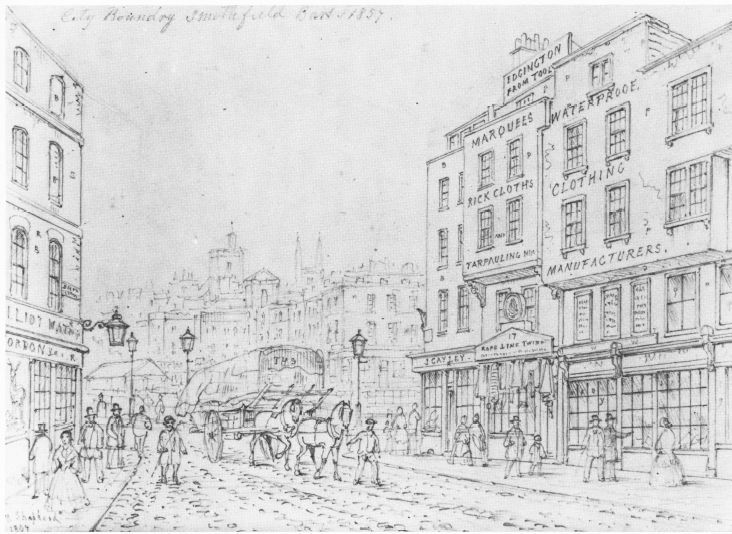 In 1823, he very quickly found and acquired better premises at 5 Tooley Street and moved his operations there. Richard duly retired, and may have returned to Abingdon as a death for a Richard Edgington occurs in Ock Street on 1st February 1834 aged 80. Age-wise it fits, and is too coincidental not to be considered relevant, there is also the fact that his burial was in the Baptist denomination in Abingdon. Thomas worked hard at his business in Tooley Street, and eventually decided to get married. The marriage, by licence to Sophia Farncombe, took place at St. Nicholas Church, Brighton on 20 April 1813. A large family followed consisting of four boys, Thomas Farncombe 10-1814, John Farncombe 2-1817, Alfred Richard 6-1819 and Frederick Farncombe 7-1828, and three girls. The first five of these births recorded at Jamaica Row, Independent Chapel, Bermondsey, with the last two at Locks Field’s, Independent Chapel, York Street, off Walworth Road, Southwark. On reaching the appropriate working age, all the boys in time served an apprenticeship in their father’s business. A settlement made between Thomas and Sarah on their marriage was brought before the High Court of Chancery in 1855 to determine whether all children of the marriage still living at the time of their mother’s death were to inherit, or only the children born before the bankruptcy of Thomas in 1829. (1) The case itself it not very interesting in itself, but it does tell us that things did not go so well for Thomas in 1829. However, he picked up the pieces and in 1832 took over better premises at 108, Old Kent Road – where the firm traded for 136 years until the property was purchased to make way for The Bricklayer’s Arms flyover. On the 9th February 1838, Edgington’s factory in Old Kent Road was entirely destroyed by fire. 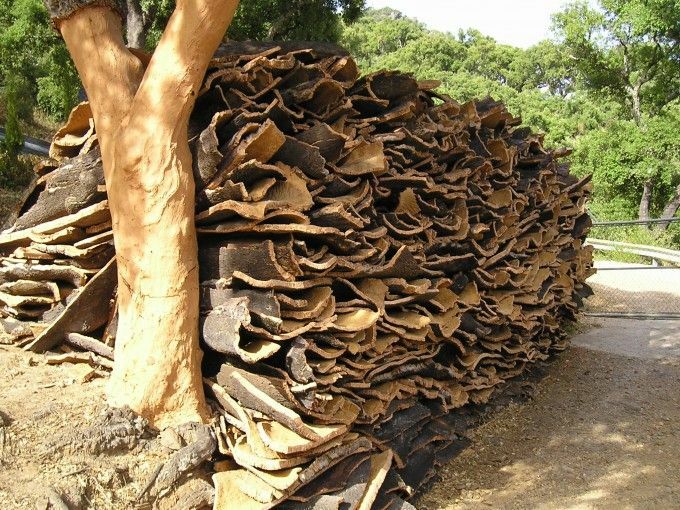 The business which occupied a large area was constructed mostly of wood; and from the inflammable nature of the materials used in the business, such as 300 and 400 barrels of tar, pitch and resin, nothing was left after an hour (Gentleman’s Magazine). The company was soon back on its feet though, and with the opening of the railways, demand for tarpaulins increased considerably. Around this time, an order was received from Dr. David Livingstone for tents and equipment for his first London Missionary Society Expedition to Bechuanaland. A number of subsequent expeditions to Africa during the next 30 years were similarly equipped. In the early 1840’s the family were living in Devonshire Place in Peckham. This address is thought to have disappeared later in the century when the South Metropolitan Gas Works were built. Thomas Farncombe started his business sometime in the late 1830’s, which was known as T.F. 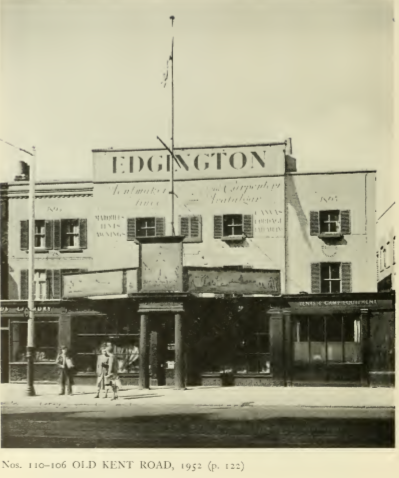 Edgington, and in 1850 was operating from 79 Bishopsgate Street Within. The business mirrored that offered by his father, and almost certainly used the same facilities and workshops for his products as that of the main family business. His business steadily expanded, and at some point after completing his apprenticeship, John Farncombe assisted his brother, but it is not clear whether John had some other employment elsewhere beforehand and during this period, or to what extent he was assisting his brother, Thomas. Thomas married Mary Ann Harvey at Camberwell in the summer of 1839, but there were no children. Both he and she devoted themselves to the business. While on business and staying at 103, Marina, Hastings in November 1852, Thomas F. took his daily dose of Dinniford’s Magnesia, a cure-all concoction widely available at that time, and immediately collapsed and died. At the inquest it was revealed that his local chemist – Jackson & Townsend had by mistake filled the bottle with Burnett’s Disinfecting Fluid instead. 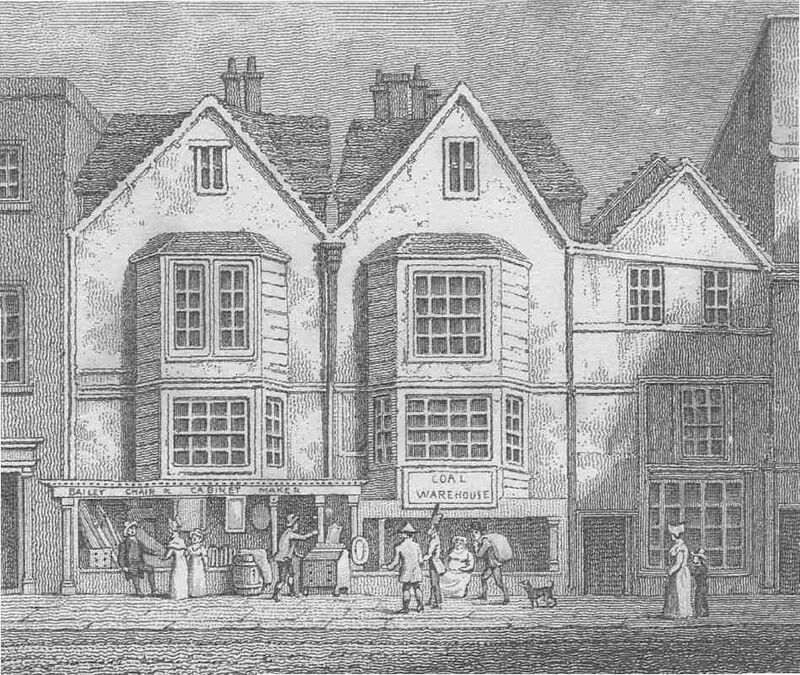 As it happens, the chemist was only a few doors away from Thomas’s business in London and was well known to him. The inquest found that the chemist was guilty of negligence, but nothing else and was released. So sad to die under those circumstances at the age of only 38. John, the second son was assisting Thomas at the time of his death, but the business was left to his wife, Mary Ann, with management passing to John. Mary Ann, however, didn’t last long and died just a couple of months after her husband. To comply with the wishes in Thomas F’s Will, the business passed to John on Mary Ann’s death. John had married Sarah and it is thought they had three children – a boy and two girls, but confirmation is sought. Whether John did actually take over his brother’s business has been impossible to confirm. There is a possibility that it was just merged with the family business, but information is sought. John had no experience of running a business and may have decided not to take on the responsibility. By 1850, Thomas senior was 64 and becoming an old man for the age. His business was substantial, employing upwards of 50 people, but he seems to have worked only part time during the last years, no doubt with a manager in charge, or more likely, his youngest son Frederick looking after things. The business overall however, must have jogged along reasonably well to enable Thomas to have, in addition to his residence in South London, a country home on Golden Ball Street at Petersfield in Hampshire, where he unfortunately died aged 71 in 1857. He had a niece and her family living in West Street, Havant, to where he was an occasional visitor. We are now entering a period where it is difficult to know what exactly happened next. From the death of Thomas senior in 1857 to the first references to John Edgington & Co in 1862 is a bit of a mystery. John was the older of the two remaining boys – Alfred having died from pneumonia in 1844 at the age of 25, having spent his entire working life in the family business. Frederick was eleven years younger than John, and all the indications are that at some point in the late 1850s or early 1860s John decided to take control. Was there a family feud? Did Frederick feel usurped by John? I certainly don’t know at this time, but we next hear of Frederick Edgington starting up his own business in Bedford at 25 Adelaide Square with connections to Old Kent Road. Later he had premises at 52 Old Kent Road as well. Frederick married twice. His first wife, Penelope died a couple of years later leaving a son, who, it would appear, spent most of his childhood with his grandparents from when Frederick married Sarah in 1853. His second marriage produced two more boys, and all three boys helped in expanding the Bedford business, but sadly Frederick died on 18th December 1880, aged just 53. It seems that this business just fizzled out. Meanwhile, John took over his father’s business and changed the name to that of his own to give the Old Kent Road business a new style and impetus. It also provided a degree of immortality for John, as the enterprise now carrying his name lasted after his death for well over 100 years. Sadly, on November 18th 1870, John Farncombe Edgington died at Bethlem Hospital, Southwark from Pneumonia and exhaustion. He was only 54. And although the firm survived, John Farncombe did not escape some financial troubles. A few months before his death, the London Gazette of 1 July 1870 announced that “Proceedings for Liquidation by Arrangement or Composition with Creditors” were instituted by Edgington. The paper mentions premises at 48, Long Lane, West Smithfield, 108 Old Kent Road, and 11 Globe Terrace, Forest Gate, Essex. 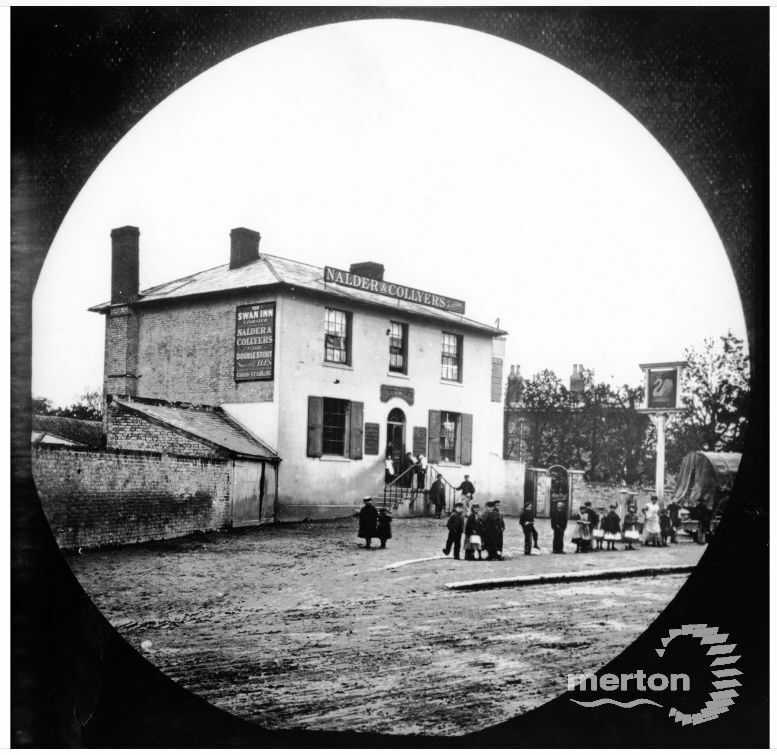 In the early 1860s, a drapers business under R.D. Hilton occasionally assisted John Edgington to mutual benefit, but some years later, he joined the Edgington business. When John died he and a Mr Thomas Pewtress took over the running of the business. In 1878, Pewtress retired from the business to pursue other interests (he died in 1902). 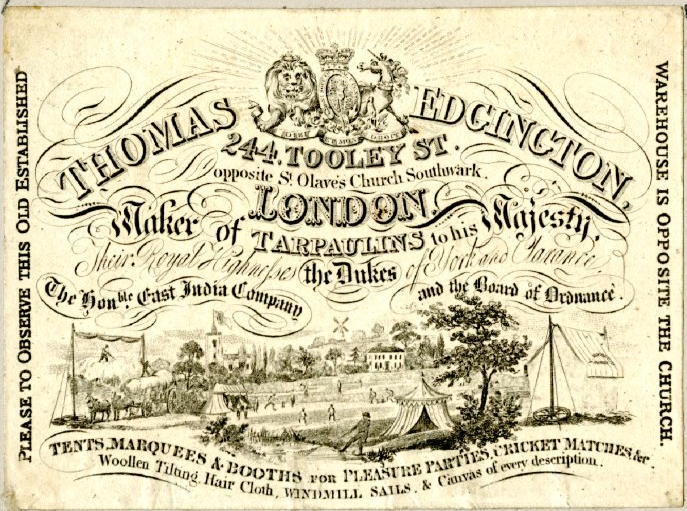 Tallis not only describes the Edgington firm as tarpaulin manufacturers, but also as twine makers and evidence of that is given in 1888 when John Edgington & Co. are given a contract to manufacture and supply ropes to the Home Office to be used in public hangings. These execution ropes consisted of 13-foot long Italian hemp, five-eighth of in inch in diameter and bound with soft chamois leather at the neck area to avoid burns on the neck. (2) One of Edgington’s employees, Harry Moakes is described as working on the hangman’s ropes here. Robert Drewitt Hilton pushed the business forward, became a well respected member of the community and Mayor of Southwark for the year 1906-07. He died in office. His wife, Elizabeth Letitia Hilton, was appointed chairman at a meeting held in November 1907, while her son, John Edgington Hilton was appointed Managing Director for life. At the same meeting, the company was incorporated. When J.E. Hilton married, his son was named Robert Drewitt Hilton, after his grandfather, and was the last Hilton to own the business. He died in 1977. In 1910, the company received an order to fit out Scott’s expedition to the Antarctic, and at a company meeting a few weeks later, decided to donate £20 to the expedition cause. Scott, at this time was also President of the Amateur Camping Club. In keeping with all firms engaged in the outdoor trade, the J.E. Co suffered badly in the late 1960s and early 1970s. Discussions between the Black & Edgington Group and the J.E. Co had been going on for many years, but finally in 1976, the J.E. Co were acquired by Black & Edgington – finally bringing together the two great Edgington companies. J.E. & Co. had lasted longer than most. To make life slightly easier – I hope – a family tree with the most important family members of this post (click to enlarge). Grateful thanks go to Charles E. Alexander who kindly sent me his notes on the family. 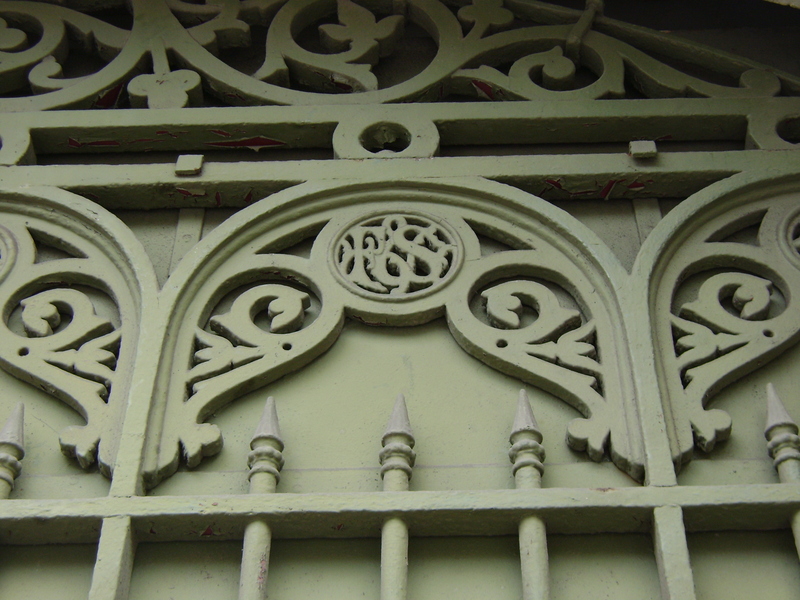 For more Edgingtons, see the post for Benjamin Edgington of 2 Duke Street and 208 Piccadilly. (1) Reports of Cases decided in the High Court of Chancery 1854 to 1857, compiled by C.S. Drewry, volume 3 (1857), pp. 202-207. (2) Steve Fielding, The Executioners Bible (2008), p. 1832.